The federal judge presiding over the high-profile Monsanto Roundup lawsuit has determined that the experts testifying against it have “shaky” opinions. Monsanto is being sued by multiple parties who claim that the active ingredient in its herbicide Roundup, glyphosate, has caused non-Hodgkins lymphoma. The lawsuits were consolidated into a multidistrict case in San Francisco presided over by U.S. District Judge Vince Chhabria. This case includes over 700 farmers, landscapers, and gardeners who claim that their non-Hodgkin lymphoma was caused by exposure to glyphosate. 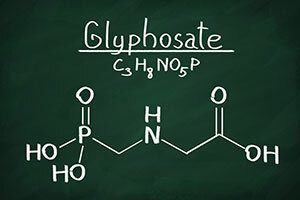 Glyphosate/Roundup is the most widely used agrichemical. It was introduced by Monsanto in 1974 and its use exploded in 1996 when Monsanto introduced “Roundup-ready” seeds that were engineered to resist glyphosate. All but one of the plaintiffs’ experts relied upon a 2015 study conducted by the World Health Organization’s International Agency for Research on Cancer (IARC). The IARC study concluded that glyphosate is a probable carcinogen. Judge Chhabria said that the IARC study alone was not enough to argue that the glyphosate is more likely than not to be the cause of plaintiffs’ cancer. Other studies, including a 2017 review by the U.S. Environmental Protection Agency, have concluded that glyphosate is not a carcinogen. The attorney for the plaintiffs, Brent Wisner, argued that the judge should not reject experts because they relied on the IARC report and that he should dissect and consider the “subset of opinions” contained within their reports. Attorney for Monsanto, Eric Lasker, argued that Dr. Ritz’s testimony should be rejected because her findings were based on “unadjusted odds ratios” and “confounded data.” Attorney for the plaintiffs, Aimee Wagstaff, said that their experts took confounding into consideration and that each expert considered both unadjusted and adjusted odds ratios.